2017 has been a crazy year for the smartphone industry. We have seen almost every category of phones step up their game. It’s been the year of headphones jacks and bezels disappearing even with mid range phones. With that in mind, what a year it has been for mid-range phones as well. Gone are the days when you had to go all out in order to get yourself a phone which could do it all for you. Today, by spending only what you can, you can be able to find a smartphone with many of the features that are seen on premium phones. So without further ado, let’s take a look into the top 5 smartphones out in the market right now! Before this year, you would be happy to see two cameras on a phone. 2017 saw the introduction of a dual camera setup at the back on almost all good smartphone. But Huawei takes that a step further with the Huawei nova 2i – the country’s first 4 camera phone with minimal bezels on the front. The display is what I would buy this phone for. For a mid-range device to have an all-view display is just worth it. 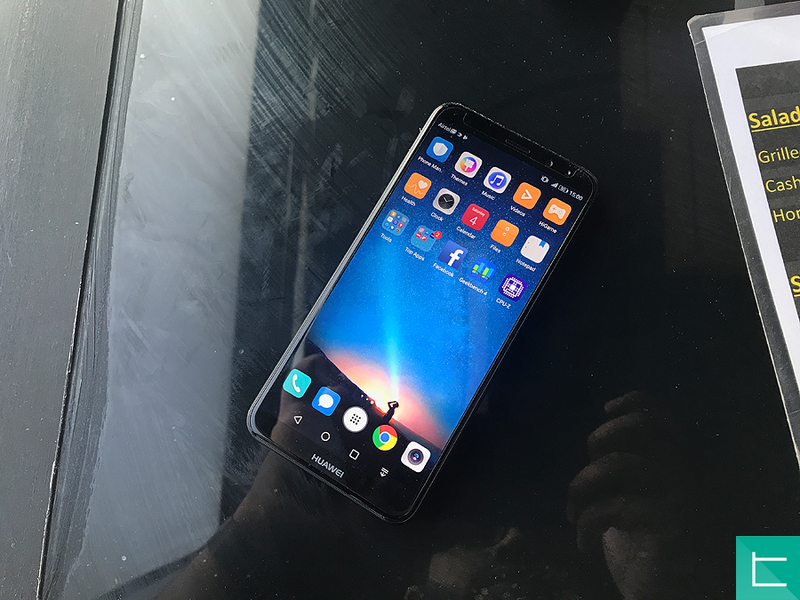 The 5.9-inch panel in the Huawei nova 2i flows from the top to the bottom minimizing the bezels making the content in the display looks gorgeous. I mean, a display of this type is something that you would normally find in an expensive device like the LG G6 or the Galaxy S8. 4 cameras mean dual cameras at the back and the front. This makes for amazing portrait blur for your Instagram feed. If that wasn’t enough for mid-range, this phone comes with a good looking spec-sheet as well such as 5.9 inches with a FHD+ and Huawei FullView display of 18:9 aspect ratios. Besides, Huawei uses their own processor in this, the Kirin 659. It also has 4GB RAM and a big battery of 3,340mAh. If you’re looking for a smartphone with which you can rival DSLR pictures, this is an easy go-to option. The Mi A1 is one of the phones in Google’s Android One program. What that means is the A1 has got something very relatable to the Google Pixel 2: Stock Android. It runs on Android Nougat (7.1.2) and will receive updates for Oreo and so on. So if you buy this phone, you can get a very pure Android experience in a very cheap deal. Without all the bloat ware that Xiaomi puts on their phones. Couple that with a good looking spec-sheet (Snapdragon 625, 4GB RAM, 3,080mAh, dual camera setup) and you have an all-round package. An improvement on design and a slashed price makes the Moto G5 Plus a very good option for a good mid-range phone. It has been the trend with all of Motorola’s popular G series phones. The G5 Plus has redefined itself without it even being necessary. The build quality is amazing; it looks very premium by borrowing some design quirks from Motorola’s X lineup. It also features decent specifications like the Snapdragon 625, 4GB RAM, 3,000mAh battery etc. The fingerprint sensor in this phone is very innovative. It has a very inventive one button navigation. All in all, amazing value for the price. An iconic brand, with premium affordability. A recent price drop in the Nokia 6 smartphone from Nokia allows it to make its way into our list. Featuring a very luxurious-looking full metal design, the new Nokia 6 will give you superb service without you having to spend a lot. It runs on Snapdragon 430 with either 3 or 4GB RAM and has a battery of 3,000mAh. On the Full HD 5.5-inch display, you can have your pictures looking brilliant with the 16MP camera on the back or the 8MP camera on the front. With a huge screen and a very decent battery, this is already a good phone. But what is so special about this phone is the quality of the cameras, both at the back and the front. The device is run by an octa-core Mediatek MT6763T processor with the assistance of 4GB of RAM. The 3,200mAh battery will allow you to enjoy the Android 7.1 edition it comes with. An 18:9 aspect ratio on the 6-inch display makes this look superb too. However, Oppo is known for their selfie cameras. On the back is a 6MP camera and on the front is a 20MP selfie shooter, showing where the priority lies for Oppo. To conclude, as top YouTuber Marques Brownlee aka MKBHD puts it, “cheap phones are getting good, and good phones are getting cheap.” And never has this been any truer.